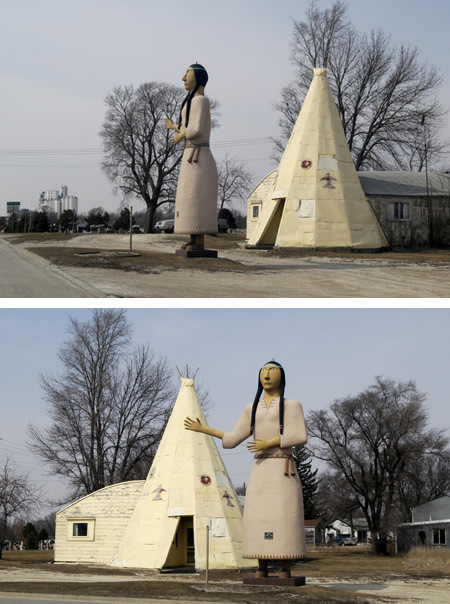 This is a Pocahontas statue located in Pocahontas Workforce Center in Iowa, USA. Superman Statue in the city of Metropolis, Illinois. 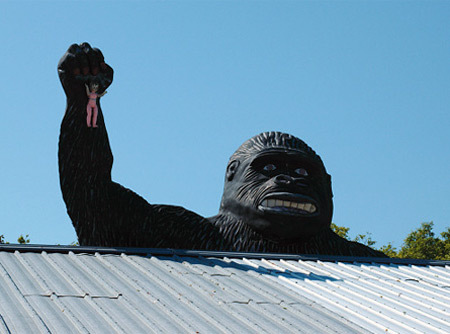 This King Kong is located in Oshkosh, Wisconsin. 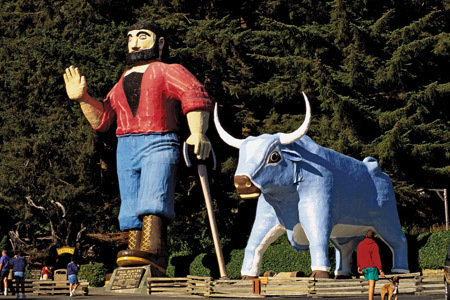 There are acres and acres of unique statues like this. This is one of many statues in this weird place. Created in the 1960's by Claude Bell, a theme park artist and sand sculptor, the Cabazon Dinosaurs were originally referred to as "Claude Bell's Dinosaurs" and intended to attract roadside customers to Bell's business, The Wheel Inn Cafe. 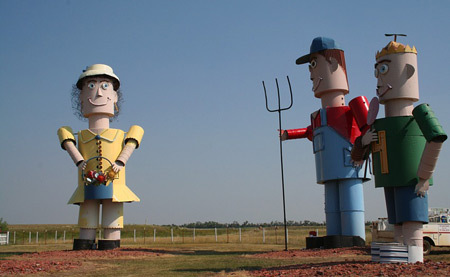 The Tin Family sculptures on the Enchanted Highway 1.5 miles north of Regent, North Dakota. 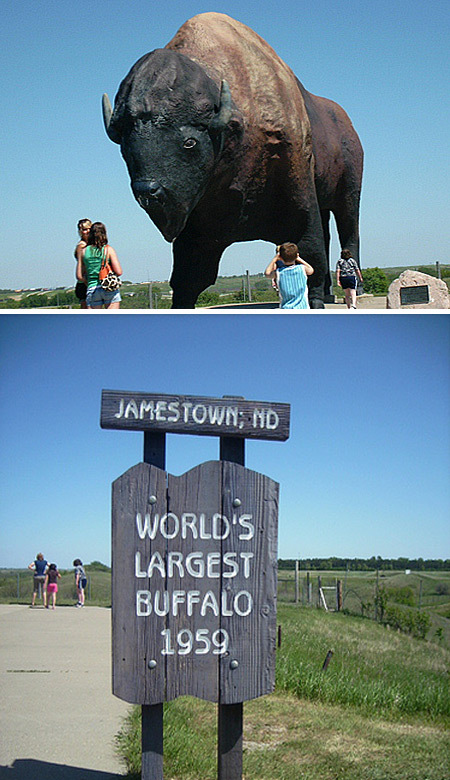 World's Largest Buffalo in Jamestown, North Dakota. 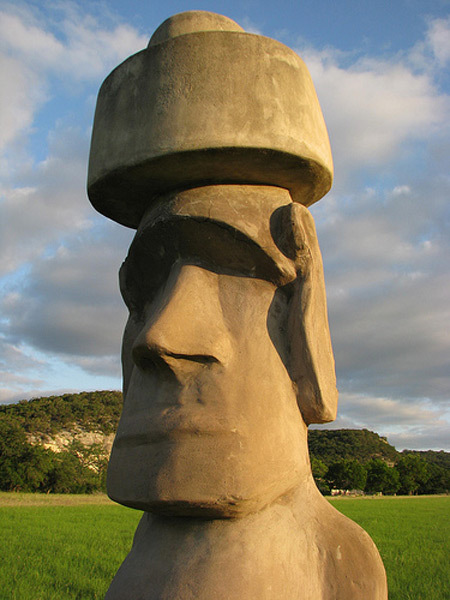 A giant Easter Island “Moai” head statue in Texas. 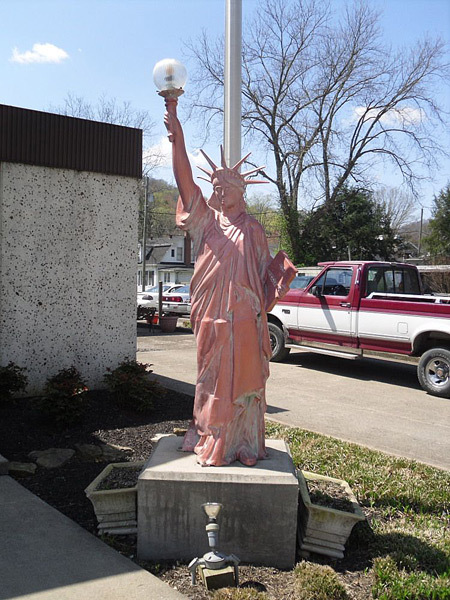 Located in the town of Pineville, Kentucky, Lady Liberty wears a pink hue as she lifts her lamp. 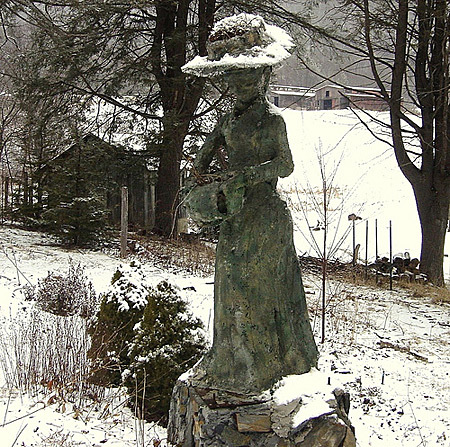 A Blue Ridge mountain roadside statue in winter. 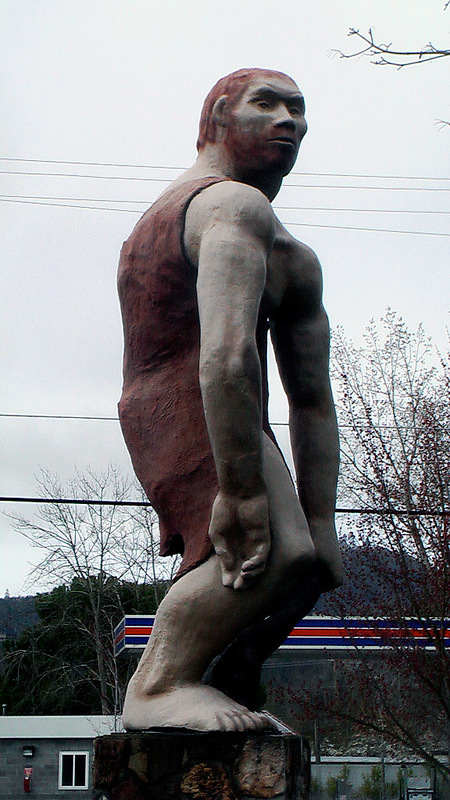 Giant caveman in Grants Pass, Oregon. Built by the Caveman Club in 1971.